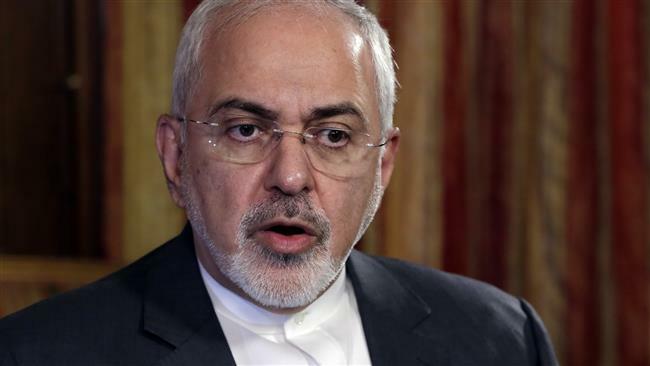 Iran’s Foreign Minister Mohammad Javad Zarif says the Islamic Republic’s security and stability depend on its own people, adding that “infiltrators” will not be permitted to violate the rights of the Iranians. Iran’s security and stability depend on its own people, who — unlike the peoples of [US President Donald] Trumps regional “bffs”—have the right to vote and to protest,” Zarif said in a post on his official Twitter account on Tuesday. Since Thursday, groups of Iranian protesters have staged demonstrations in several cities to voice their anger over rising prices and economic conditions. Sporadic violence has erupted during the protests, causing a number of casualties. Zarif’s twitter came after Foreign Ministry Spokesman Bahram Qassemi denounced US President Donald Trump’s “insulting” tweets about the recent protests in a number of Iranian cities, urging him to avoid interfering in the Islamic Republic’s internal affairs. Trump’s completely paradoxical and garbled stance against the Iranian people is not a new issue,” Qassemi said on Tuesday. Addressing a Cabinet session on Sunday, Iran’s President Hassan Rouhani condemned his American counterpart’s comments about the protests in Iran. He said that national security, peace and coherence as well as the unity that existed in Iran were the “biggest assets” of the country in the restive Middle East region, emphasizing that people from all faiths and ethnicities enjoyed peaceful coexistence in the Islamic Republic.